Mek solder paste inspection (SPI) equipment is used to monitor and control one of the most critical steps affecting the finished quality of printed circuit boards (PCBs). Solder paste deposition is the key process in board assembly operations and modern electronics manufacturing trends are increasingly abandoning costly repairs in favour of prevention through improved process control. Research has identified that over 60% of end of line defects can be traced back to printing errors. Intercepting these defects before they happen reduces rework costs, provides instant yield improvement and accelerates return on investment. Mek 5D post-print solder paste inspection systems, incorporate patented new sensor technology and simultaneously combine 3D and 2D image processing methodologies that deliver defect detection beyond that previously possible. Mek PowerSpector S1 SPI is a new breed of powerful process control tool, which enables manufacturers to quickly and easily tune and adjust their print process. 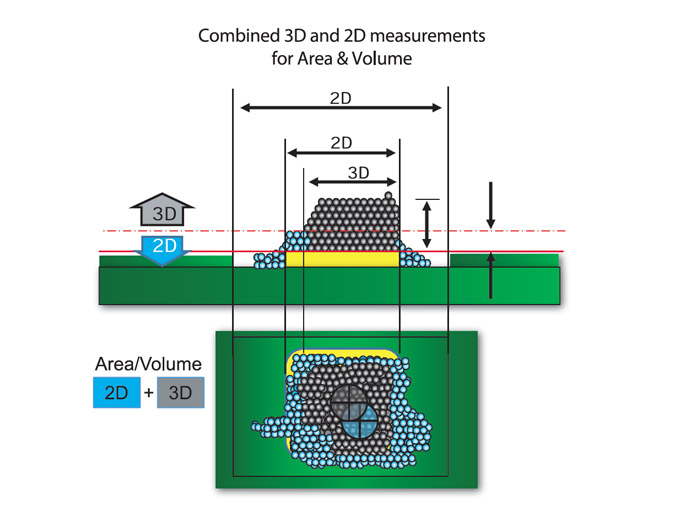 The patented 5D inspection sensor technology allows for simultaneous capture of colour 2D imaging and accurate and repeatable 3D images using a single sensor; high speed capture with switchable resolution on the fly; shadow free measurements using dual combined 3D and 5D image processing; inspecting beyond the Aperture; inspection of volume, area, height offset, bridge, slumping and detection of anomalies in printing. The result is the ability for defect detection beyond that previously possible. Using either stencil gerber, paste layer gerber or golden board, programing is typically less than 5 minutes utilising Mek proprietary gerber conversion software, either online or offline. There is full program transportability between machines. Multisampling laser and colour 2D imaging allows for the accurate capture of the PCB and paste. Colour extraction of the PCB enables the correct determination of the required zero reference, as well as below zero reference solder paste issues and true area inspection. Dynamic Z axis reduces warp induced image distortion and provides accurate offset measurement with no loss of 3D volume height accuracy. All of these provide instant yield improvement when utilising the machine to correct printer settings and intercept printing errors accelerating return on investment, improving quality and reducing rework costs. Mek 5D technology is a new, no compromise approach to SPI for total defect coverage. Items which are better inspected in 2D, such as area offset and bridging, are viewed in full colour. 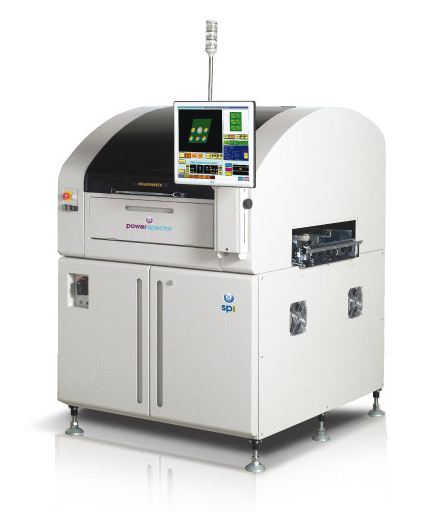 Using colour inspection the system can tell the difference between paste, solder mask, silk screen and other PCB features and the system can intelligently give you accurate results. Volume and height measurement in 3D are combined with the 2D inspection in Real-time, to give a True colour 3D image. Other "3D" SPI systems only inspect in the 3rd dimension, (Z axis) and make extrapolated assumptions about the 2D image. Numerous studies have been performed over the last few years proving that up to 70% of all SMD solder joint issues, can be traced back to the solder paste printing process. These printing errors may be caused by incorrect printer setup, stencil damage, stencil design or type, solder paste type, solder paste conditions or a collection of several issues. Mek expert SPI system installers can advise on solutions to prevent solder print issues as well as aid customers to make their own studies on how to improve their process control. • 70% of defects are typically printing related. Prevent them!